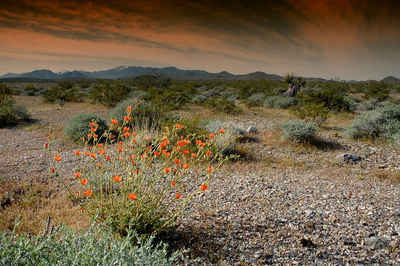 The Orovada Series Soil was designated as Nevada's official state soil in 2001. Alfalfa for hay and seed, winter wheat, barley, and grasses for hay and pasture are the principal crops grown on these soils. This soil is classified as coarse-loamy, mixed, superactive, mesic Durinodic Xeric Haplocambids, and is found in Northern and Central Nevada. Orovada soil grows most crops common to Nevada and is considered prime farmland because it contains volcanic ash that reduces the amount of water needed for irrigation. Orovada soils are extensive in northern Nevada, where they have an extent of more than 360,000 acres. They are common soils on semiarid rangeland with sagebrush-grass plant communities. Orovada soils are arable when irrigated and are considered prime farmland. Alfalfa for hay and seed, winter wheat and barley, and grass for hay and pasture are the principal crops grown on these soils. 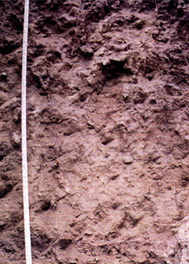 Orovada soils are well drained and formed in alluvium derived from mixed rock sources and in loess and volcanic ash. These soils typically occur in the Great Basin section of the Basin and Range physiographic province. The mean annual precipitation is about 8 inches, and the mean annual temperature is about 47 degrees F.
The Orovada series consists of very deep, well drained soils that formed in loess high in volcanic ash over alluvium derived from mixed rocks. Orovada soils are on fan skirts, fan remnants, fan aprons, inset fans, calderas, and draws. Slopes are 0 to 15 percent. The mean annual precipitation is about 230 mm and the mean annual temperature is about 8 degrees C.
SERIES ESTABLISHED: Nye County (Big Smoky Valley Area), Nevada, 1972. 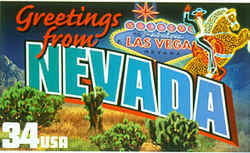 The law designating the soil series known as Orovada series as the official Nevada state soil is found in the Nevada Revised Statutes, Title 19, Chapter 235, Section 235.115. 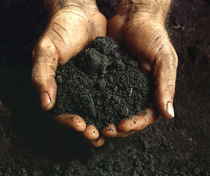 A state soil is a soil that has special significance to a particular state. Each state in the United States has selected a state soil, twenty of which have been legislatively established. These Official State Soils share the same level of distinction as official state flowers and birds.